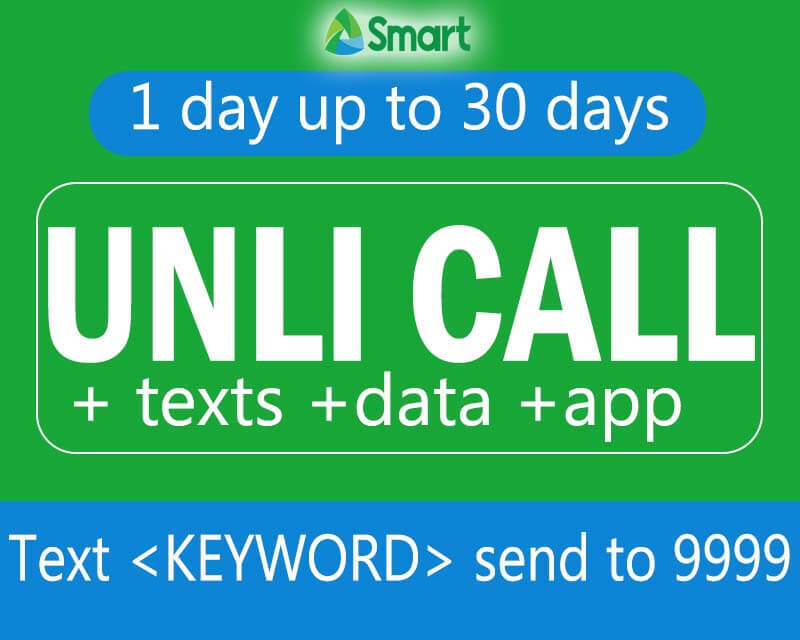 Calling to a Smart subscriber without registering for any unli-call promo is very costly. The good thing that our local Telco offers unlimited calling promo at very affordable price to cater our communication needs. If you are using Smart network, you can choose from their list prepaid call promo package depending on your budget. You also have better options to choose from one-day up to 30 days validity period. 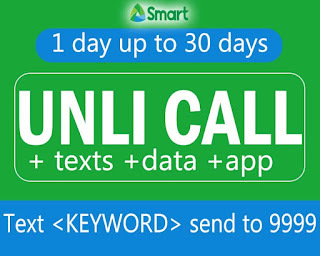 Another good thing with Smart unlimited call promo is that it mostly includes unli or limited text and additional consumable data for mobile internet access. We list down all your favorite Smart call bundles for you to compare each promo before you decide to register. If you want to reload your account on one of the promo below, we include the keyword and format if you decide to subscribe via text. Note: Send the keyword to 9999. Example format: UCT350 send to 9999. Just directly dial the mobile number (ex. 0928-XXXXXXX) of the person you are trying to call. See new Smart Giga Allnet Data + Unlimited call and texts to All Networks promo. You can also register above promos directly from your Smart load retailer, just tell the name of the unli call promo then they will be the one to process the registration. All you have to do is give your number, then wait of the SMS notification before you start using your unlimited call promo.